TAY, it’s Wednesday already! Such is life. I wanted to talk about Animal Crossing last week but then the PlayStation Classic hit and I went with that instead! So today, you get to hear all about Tom Nook instead. Is Tom Nook a crook? For those of you who do not play Animal Crossing, Tom Nook is the guy who sells you a home. To add extensions to your home, you must pay him exorbitant sums of money. Houses go well over 1 million bells (Animal Crossing’s currency) by the time all is said and done. There are no rival home lending services, no competition, and so you’re beholden to Tom Nook’s prices. Except Tom Nook never sends collectors after you. You don’t have to upgrade your house and you can repay the loan at your leisure. So again, I ask, is Tom Nook a crook? I don’t think he’s such a bad guy, honestly. The real villain of Animal Crossing, if you ask me, is Isabelle. 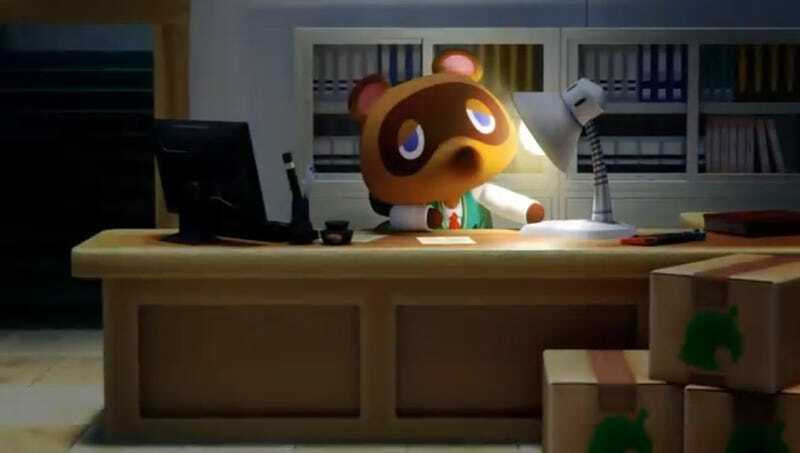 Tom Nook: Crook or No? Which video game villain do you relate to? Who’s the worst video game villain of the last five games you played? Who’s the best video game villain of the last five games you played?